Well, about 3 weeks ago I declared that Spring was here. At the very least, any snow that came would be short lived. Since my prediction was based solely on my optimism, it'll need to be that optimism that carries me forward. We just received a few more inches of the white stuff, so today's warmth will need to take it away. Here is a photo taken a few minutes ago from the webcam overlooking Coast Guard Beach. 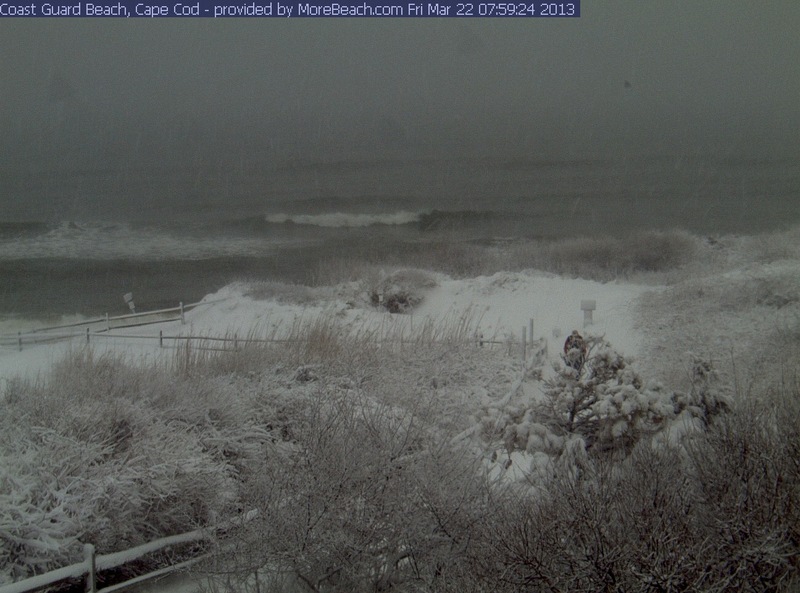 The webcam is available 24/7 on MoreBeach.com. Click the photo to blow it up so you can see the 'details'. My April Newsletter Is Available Now! My April 2013 report is available now! This issue of my newsletter has my Eastham market update through February. Additionally, there's an article about the upcoming Town Meeting, my hunt for abandoned homes, and 3 new listings. This newsletter has been published every month for over 10 years. My goal, with my newsletter, is to provide accurate sales and market information about the Eastham housing marketplace, to add commentary and opinion (as appropriate), and to keep it interesting. Download your copy of my April newsletter now. Bev & I went down to Coast Guard Beach yesterday at about 1:30, about 2 hours after high tide. The recent storms have wreaked havoc on the beach and the high banks, unearthing some large hunks of what are probably ancient peat bogs and leaving the pristine beach littered with what looks like volcanic rocks. The once gradual path to the beach now includes a 10 foot drop off across some big areas of this peat material. I wonder whether we'll need a set of stairs this year. The good news is that the beach has a way of repairing itself, but for now our once pristine beach is a mess. The top photo is from the top of the new bank. 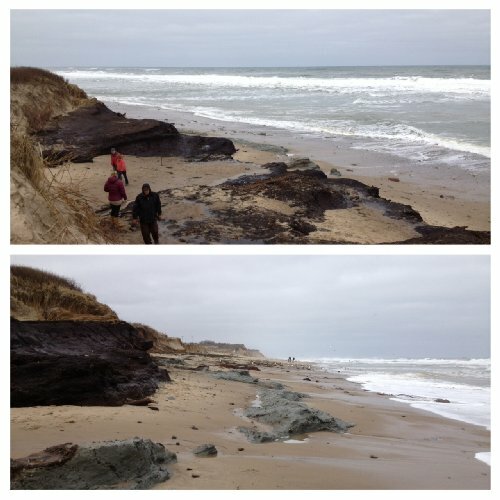 The bottom photo is from the beach level. Hmmm. 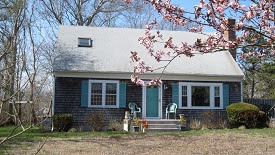 EASTHAM - New Listing - Wonderful! 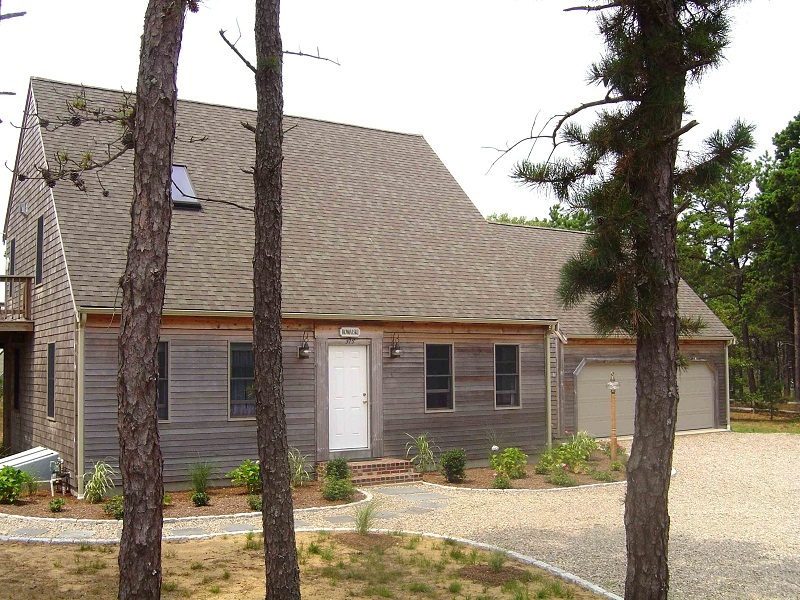 This 4 bedroom, 2 bath home, with views across the marsh to Rock Harbor, is just 0.4 miles to First Encounter Beach. With over 2000 sqft of living area, we have 3 fireplaces (including one in the Master Bedroom), an updated kitchen, new windows, A/C, large family room with vaulted ceilings, 2 decks, a 2 car garage, a second floor deck with expansive views from the Master bedroom, and nice plantings. Listed at $749,000. For more information, a Virtual Tour, and more photos, go to http://1250SamosetRd.robertsheldon.com. And check out the Virtual Tour. Labels: Eastham new listing, First Encounter Beach. This Classic Cape home has 4 bedrooms, 2 baths, an open floorplan with an updated kitchen, hardwood floors, skylights, lots of closets, and partially finished basement - all on a full acre. Listed at under its 2013 assessed value! This home has a newer gas furnace, an efficient laundry area, several large decks, and 2 large outbuidings for your toys. Wonderful curb appeal with many plantings. Come see! Listed at $364,900. Go to http://115WhelpleyRd.robertsheldon.com for more photos and a map. Check out the Virtual Tour...Here. We seem to have a storm every weekend, including this coming weekend. The good news is that we'll likely miss out on the snow, but we'll have the wind and the rain. Unfortunately, the rest of New England looks like it'll get quite a bit of the white stuff. 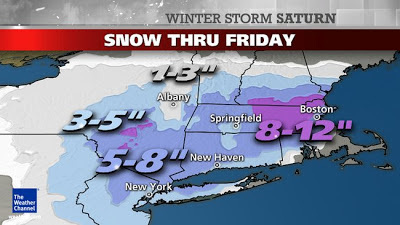 Check out the map, below, courtesy of Weather.com. This is an antique postcard that I found that shows the Three Sisters lighthouses that can currently be found several hundred yards up Cable Rd from the current Nauset Light Beach parking lot. The re-uniting of these lighthouses is a long story (see here...). I have a Pinterest Board of antique postcards that you might find fun to look at. 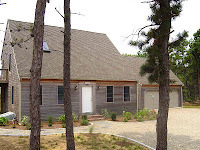 NEW LISTING - This is a large (2067 sqft) newer (2002) unique contemporary Cape home overlooking the expansive First Encounter marsh. This is an upside-down house with the open kitchen and living room upstairs and 3 bedrooms downstairs. Special features include a large finished office area above the 2 car garage, full partially finished basement, oak hardwood floors, central air, natural gas heat, freshly painted living area, skylight, plenty of parking, and wonderful decks. This has been a great rental. 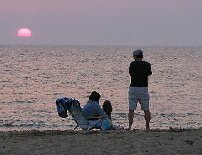 Just steps from the Herring Pond public beach and just a mile to First Encounter Beach. Listed at $699,000. Come see! For more photos go to http://375HerringBrookRd.robertsheldon.com/. Check out a Google map. And a Virtual Tour. 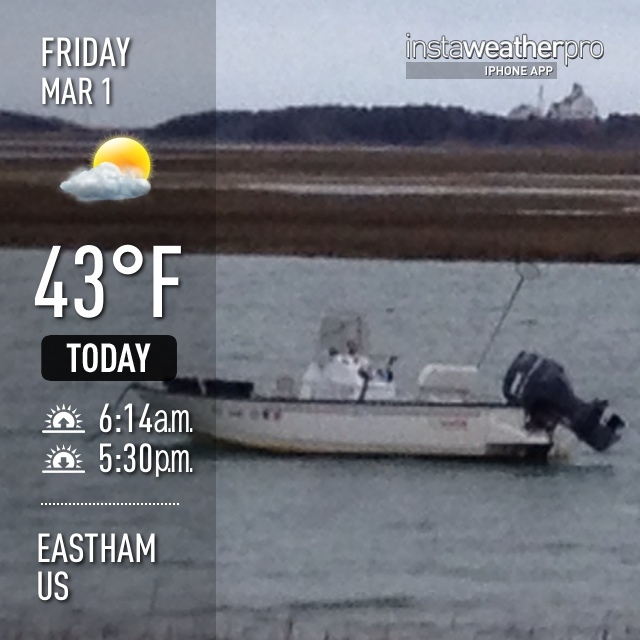 There were 5 homes sold in Eastham in February. The median sale price in February was $347K. There are currently 104 active single family listings in Eastham (up from 102 on February 1st), with an average list price of $625K and a medium list price of $494K. The average days-on-market is currently 276 days. For more details, graphs, and commentary, download my latest monthly Eastham newsletter -- here. I've been publishing this newsletter for 10 years with the goal of providing market information to my clients, so they may approach the market from a more informed position. Check it out! I know the calendar says that Spring will arrive in about 3 weeks. 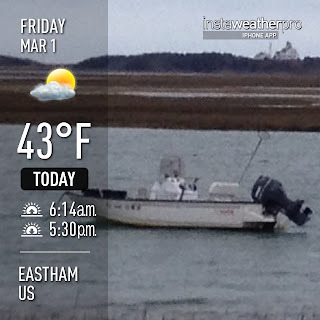 Here, in Eastham and on the Cape, Spring seems to show up early. For me, March 1st seems to be the 'real' start of Spring, since any freezing cold or snowy weather that might come our way won't last very long. The next 2 weeks' forecast shows only highs in the mid-30's or higher (50's next weekend). I have tulips and daffodils beginning to show their new growth. So - I declare that Spring is upon us. Bring on the bright sunshine and warmer temps!